I'm a huge enchilada fan, so I was a little bit timid to the idea of putting zucchini in an enchilada, but the results made me a believer. I found the original recipe on Pinterest, but adjusted it a bit to taste. This is such a lighter recipe when compared with a lot of other cream based recipes, and the turkey supplies a lean source of protein. 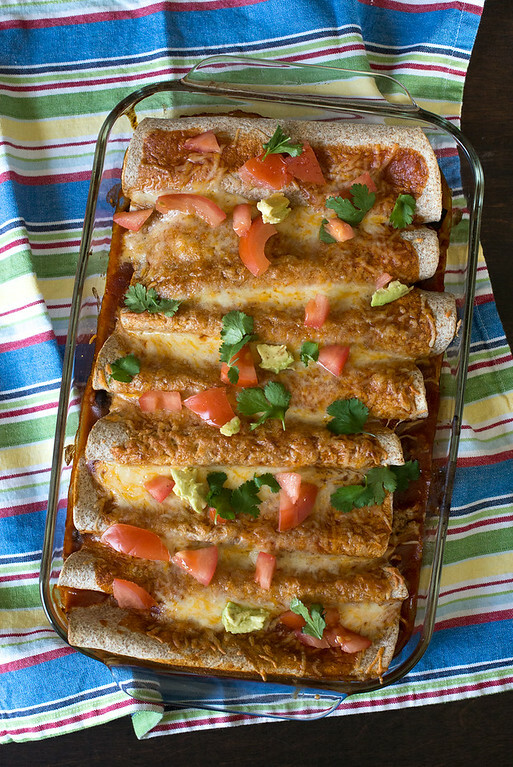 Throw these enchiladas in the oven, and you have a complete meal. This recipe also makes for great leftovers the next day. Preheat oven to 375.Brown ground turkey n a pan until it’s no longer pink. Drain any extra fat. Add in zucchini, onion, garlic and cook for 5 minutes. Add in 1 cup of Pico sauce and 1 cup of enchilada sauce. Place about ½ cup of turkey mix onto a flour tortilla and roll up like a burrito and lay seem side down in a 9 X 13 baking dish coated with cooking spray. Pour remaining enchilada sauce evenly over enchiladas. Cook enchiladas for 20 minutes. Take out of the oven and top with cheese.